The University of Auckland is the highest ranked New Zealand university in the main world university rankings. The University of Auckland is New Zealand’s leading university in the QS World University Rankings 2019. Placed #85 in the world, the University is the only New Zealand university in the top 100. The University of Auckland is also the highest ranked university in New Zealand for its global reputation amongst both academics and employers. Worldwide, the University ranks #60 for Academic and #129 for Employer Reputation. In the QS World University Rankings by Subject 2019, the University of Auckland was ranked in the top 100 for 33 of our subjects. In particular, 13 subjects were ranked in the top 50. The University of Auckland is New Zealand’s leading university for Graduate Employability. The University has been ranked #1 in New Zealand and #71 worldwide in the QS Graduate Employability Rankings 2019. In the Times Higher Education Global University Employability Ranking 2018, the University was placed amongst the 150 best universities worldwide for delivering work-ready graduates (#133). The University is the only New Zealand university ranked in the top 150. In the QS Stars Rating, the University of Auckland is rated as a Five Stars Plus institution for excellence overall, as well as the following categories: Research, Employability, Teaching, Facilities, Internationalisation, Innovation and Inclusiveness. The University of Auckland also ranks in the world’s top 250 in the 2019 Times Higher Education World Rankings. In the Reuters' ranking of Asia Pacific’s Most Innovative Universities – 2018, the University of Auckland has once again been ranked as the most innovative university in New Zealand. The University placed #39 overall, with no other New Zealand university ranked in the top 75. 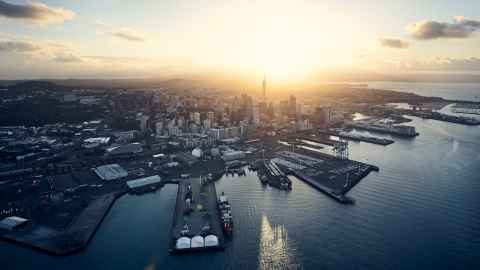 The University of Auckland is also recognised by the MIT Skoltech Initiative as one of five emerging world-leading universities in entrepreneurship. The full report is available below. MIT Skoltech entrepreneurial ecosystems report 2014 . Size: 6.3 MB. Type: PDF. Download this PDF file. Size: 6.3 MB.